I’ve considered adding a reinforced section to the Hauberk over the wearer’s heart. 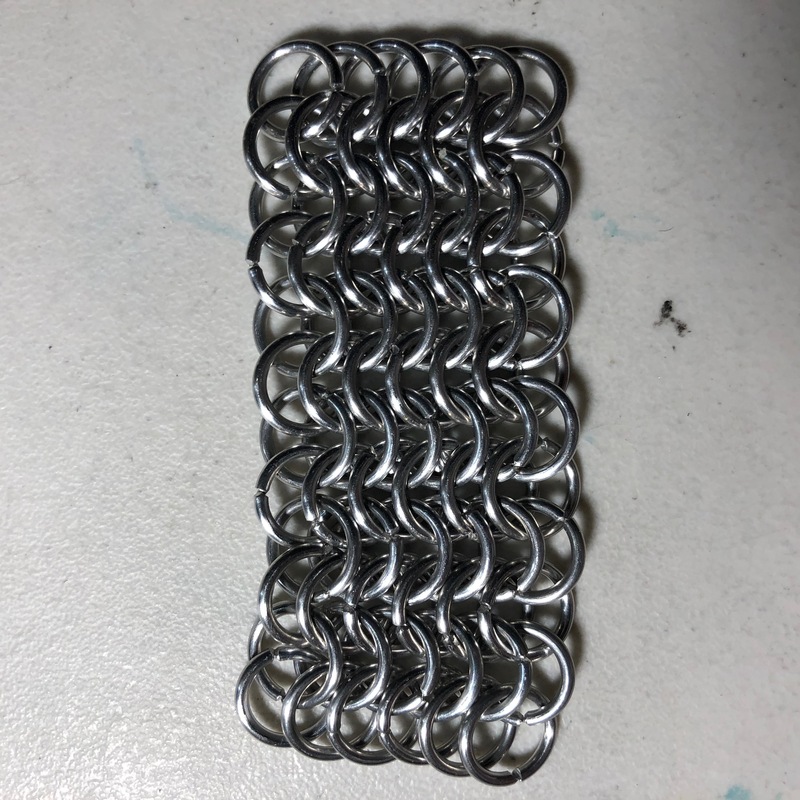 The weave for most of this piece is European 4 on 1, so-called because it’s a European style maille, and each ring passes through four others. At first I was thinking of using a six-inch high by five-inch wide section of European 6 on 1. You can guess why it’s called that. It’s a bit denser than the 4 on 1, and it’s not as flexible either, except in the vertical direction. Ultimately attaching it to the 4 on 1 would probably be a bit of a pain and result in a pucker in the shirt though. 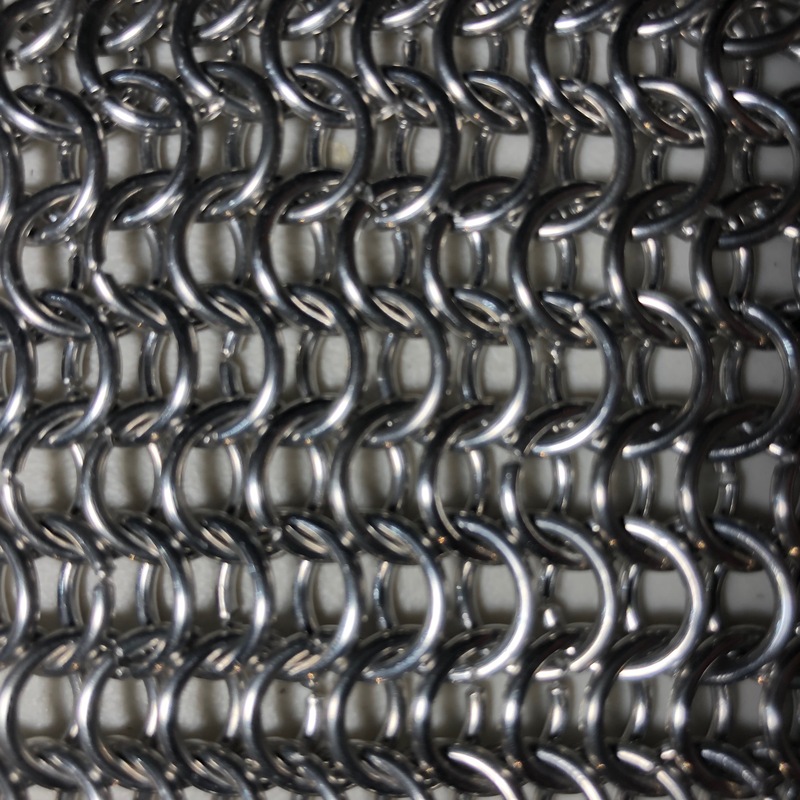 Then I thought of using King’s Maille, or European 8 on 2. Again, I’ll leave the name up to the reader to figure out. This one is much denser, yet keeps its flexibility in both directions. And… it will join to the 4 on 1 easily. 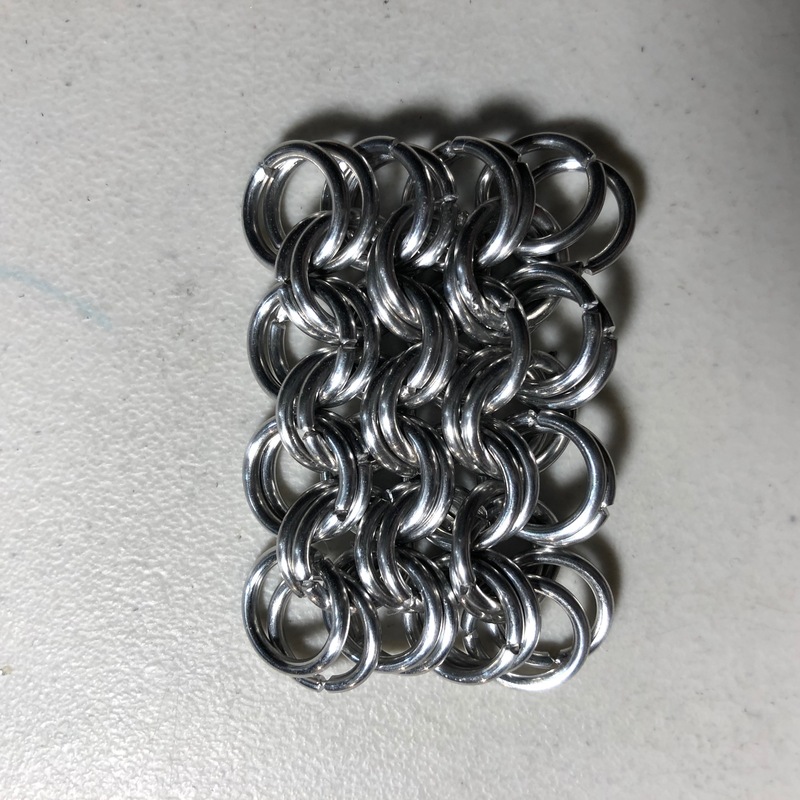 It is a bit harder to produce though, but it looks cool and it’s more protection for a stabbing thrust in the heart area.